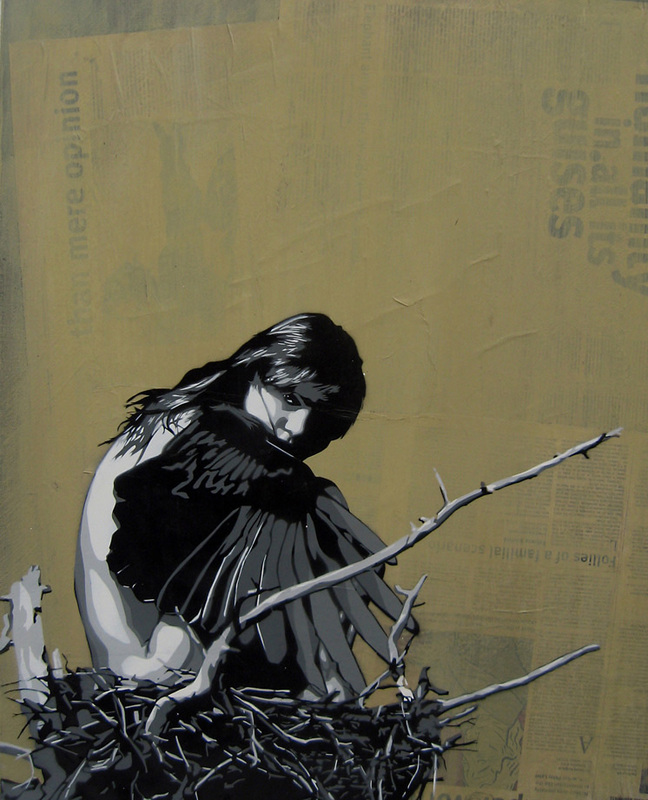 Surry Hills stencil artist Fleur Porter, aka Miss Link, has taken out the inaugural Australian Stencil Art Prize. Oh Really Gallery manager, Dan O’Toole described Miss Link as “the next big thing” in stencilling. With the financial support from Marrickville Council and organised by Jacinta Walpole, the prize recognises the growth of Australia’s exciting street-art scene. Marrickville Mayor Sam Iskandar announced the winner at Oh Really Gallery. ‘Marrickville Council values the role street art plays in our society,’ Cr Iskandar said. Other finalists included: E.L.K (Kaleen, ACT), Punkerlily (Brunswick East, VIC), Ralf Kempken (Fitzroy, VIC), 23rd Key (Melbourne, VIC), Doohickey (Erskineville, NSW), Gail Butler (Bondi, NSW), Poncho Army (Mount Saint Thomas, NSW), MOX ( Newtown, NSW), Miss Link (Sydney, NSW), Syke (Newtown, NSW), Louis Georg (Curl Curl, NSW) and Joshua Smith (Adelaide, SA). The judging panel included contemporary artist James Powditch, internationally renowned stencil artist Vexta, Andrew Mac (Citylights project and Until Never Gallery, Nicholas Fintan (Australian Stencil Art Prize Curator), Fenella Kernebone (Triple J), Satta van Daal (Melbourne Stencil Festival) and Kath Melbourne (Marrickville Council). 55 Enmore Road, Enmore, Sydney NSW.